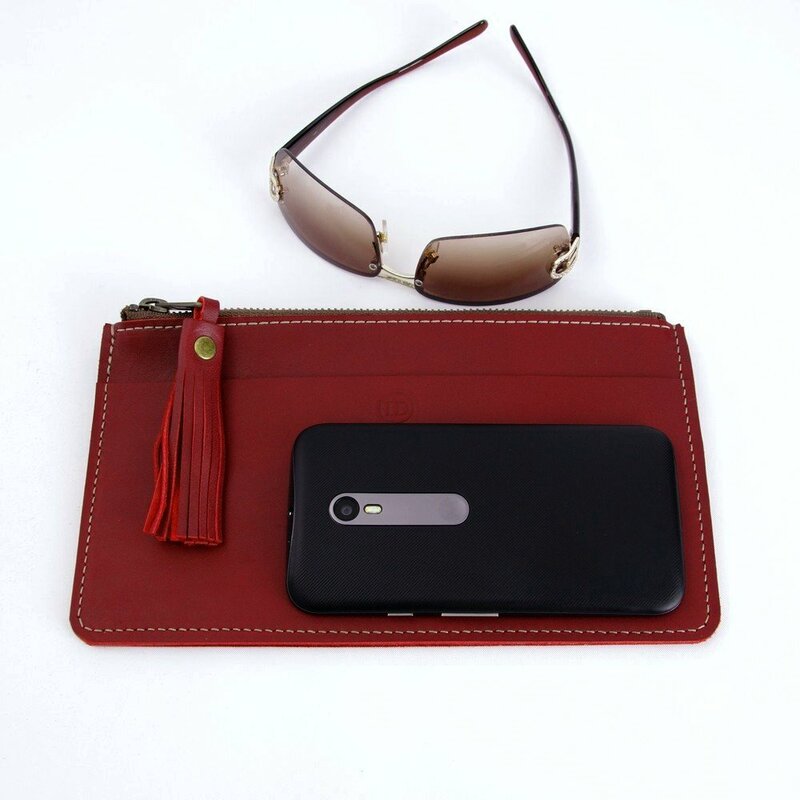 A very stylish, multi-purpose leather clutch with zippered enclosure and 3 pockets. 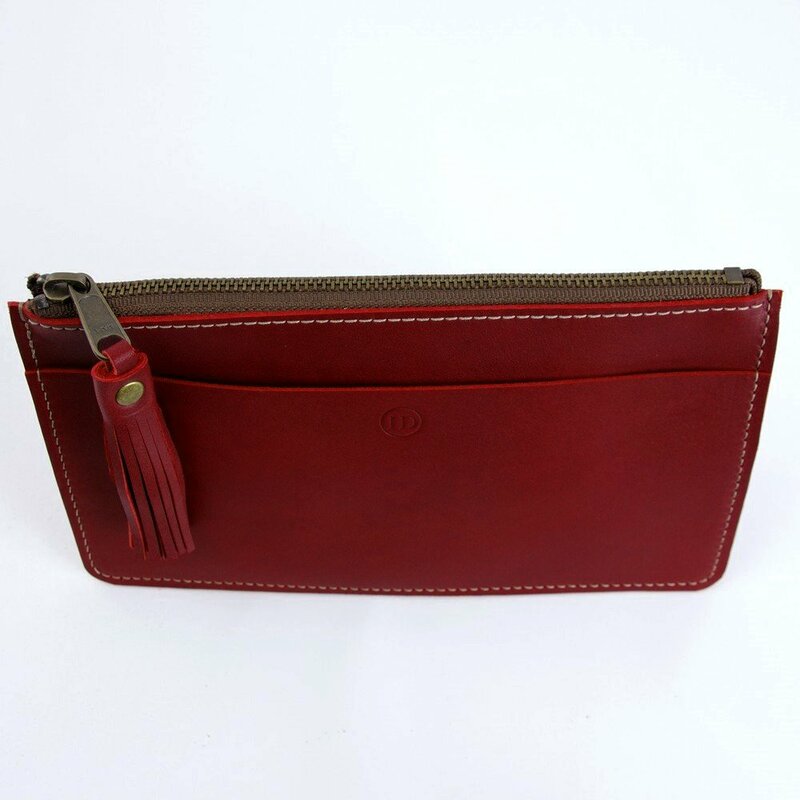 Carry it alone as a small clutch, or use it as a nice wallet with a larger purse. a high-quality & luxurious but durable leather that develops a wonderful patina over time. YKK zipper. Hand-made tassle with brass rivet. 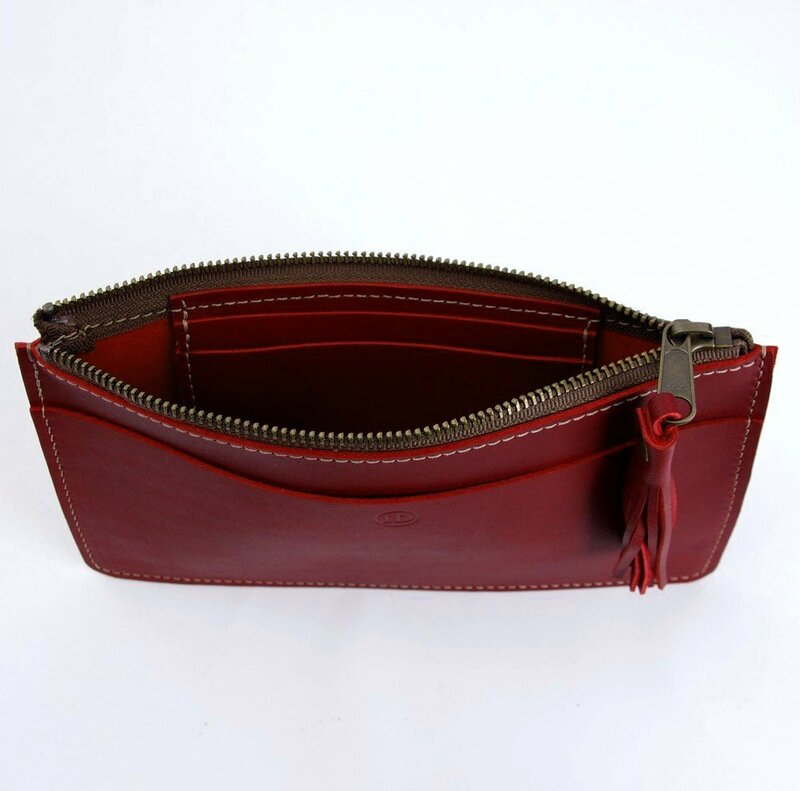 Small batch production, hand-sewn in Oregon USA with durable #138 bonded nylon thread. 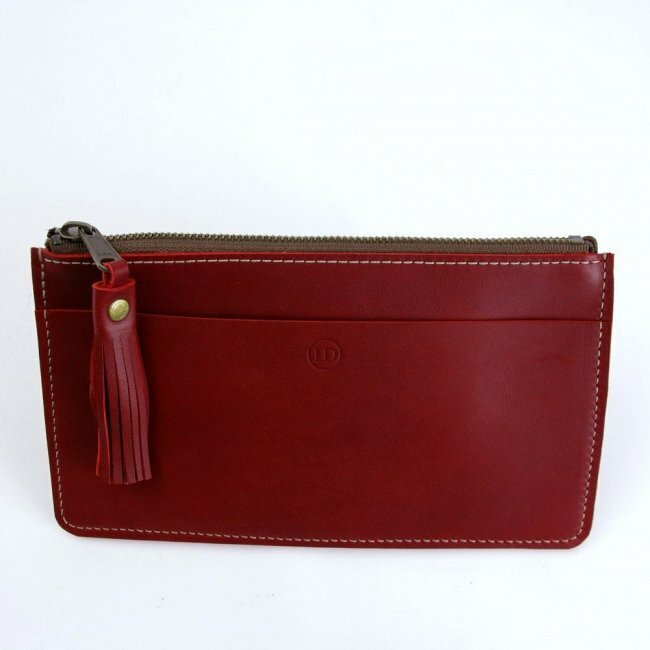 Pouch measures 5" tall by 9" wide, with full-length exterior pocket and two card-size internal pockets. 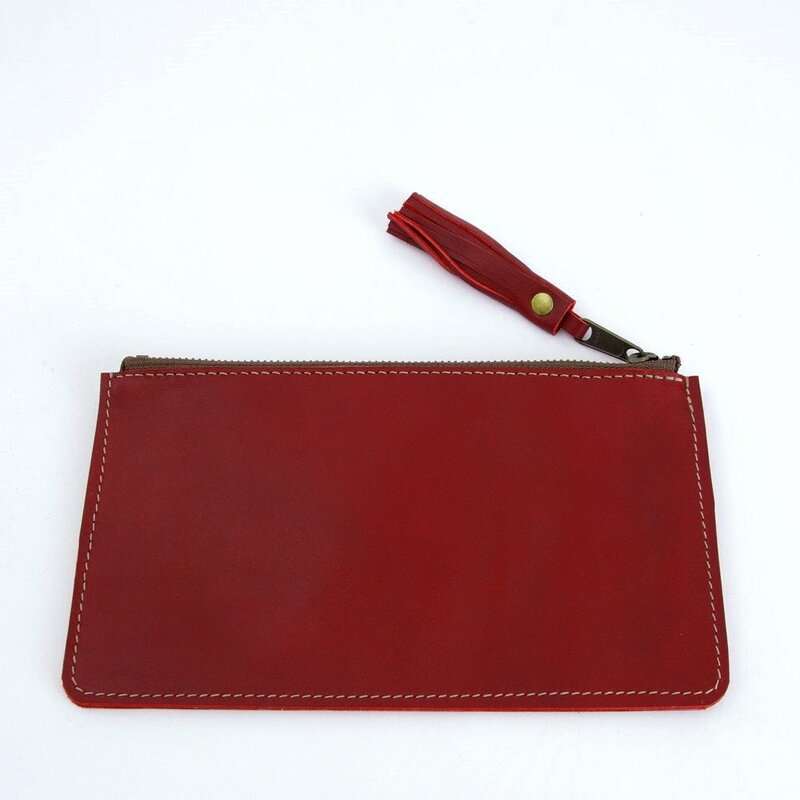 Great for cell phones or coins, cash, checkbook, receipts, and credit or business cards. After a purchase, please come back and write a product review! In the Name field, enter your first name and State. Ex: Juliane from TX.